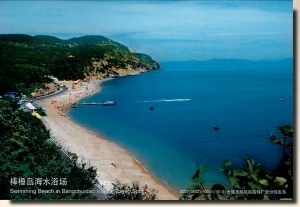 Bangchuidao Island is situated about 9 kilometers away from the center of Dalian City. The Island lies to the east of the Binhai Road and consists of the Bangchuidao Islet, the natural lido and Bangchuidao Hotel. Bangchuidao Island is a famous seashore resort and offers excellent scenery of hills, sea, islet and the beach.